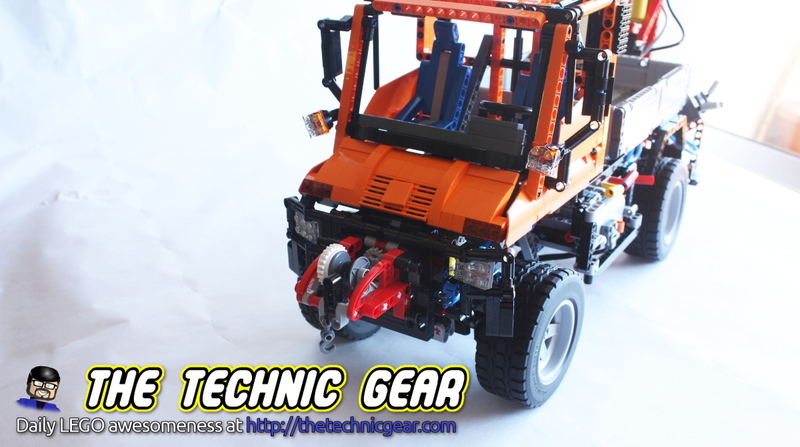 Ok, I finally managed to complete my Mercedes Benz Unimog! 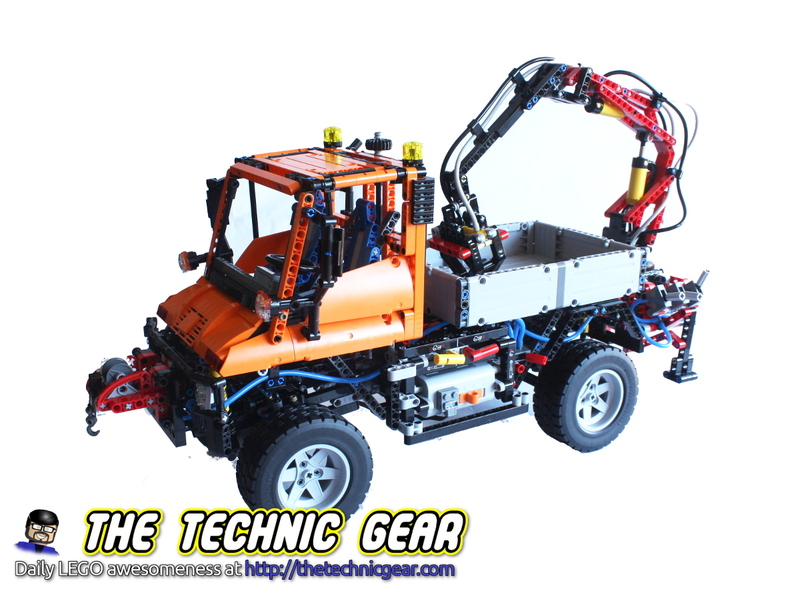 This model, the LEGO Technic 8110 Unimog, is by now the most complex Technic model ever released by LEGO with way over 2000 parts. The price tag is really high for a “toy”, but I really got it as a great and fun way of obtaining more parts for my own model constructions. So math rules, and the price per part was quite competitive. Also you won’t find any other (actual) model featuring pneumatic parts. The model is quite impressive when build completely with a size that is quite respectable. In fact you are watching biggest ever LEGO wheels on this model, if you ignore the Motor Cross bike ones. This model contains also Power Functions parts: A battery box and a M Motor. Keep in mind that the model, as released by LEGO, doesn’t move by itself ( which it is quite disappointing for a toy of almost 200€ ). The motor is used for rotating the pneumatic arm and to pump the pneumatic valve so it increase air pressure. The 4×4 Crawler is much more interesting if you are just interested in the Power function parts. Let me show what I have enjoyed more of this vehicle. First, both drive trains has a differential and a suspension. It is quite interesting to see how the have raised the ground clearance by using this piece and a few gears. Now it can run over all kind of terrains! Also it is quite interesting to see the part that allows the power to be drive to front and rear wheels, because yes, you can add an extra motor and make this baby move. The gear box of this Unimog is a quite nice one with two clutches that gives you four possible actions to do with a single motor. I still have the feeling that it is deliberately over complex so that it looks more cool, but still it does it works and does it well. This is perhaps the most problematic part and the one that you should pay more attention if you don’t want to disassemble your model later looking for a problem. There are also great decorative parts, like the four valves motor under the cabin that works when you move the vehicle. 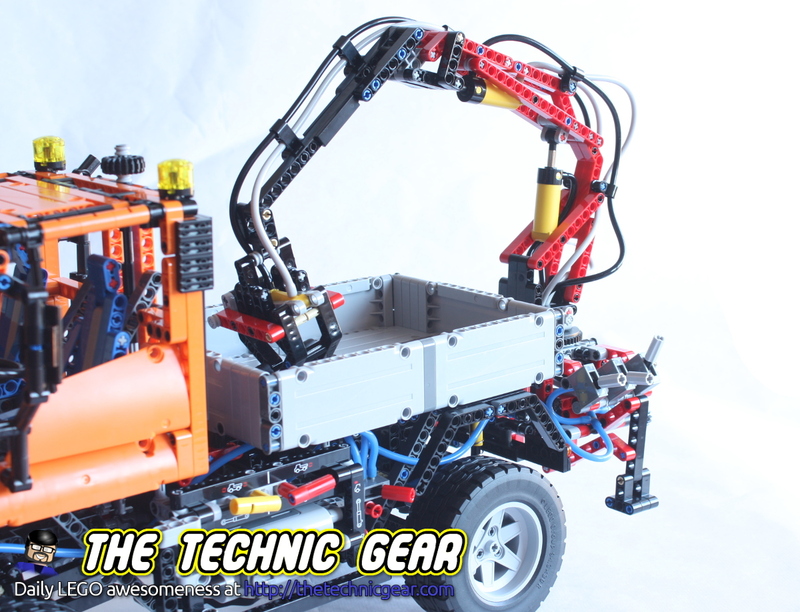 See here the main parts of the vehicle operating. So what I think? I am quite happy with this vehicle. To be fair I really expected it to move somewhat on itself, but once I built it and saw the pneumatic parts working everything else was forgotten. 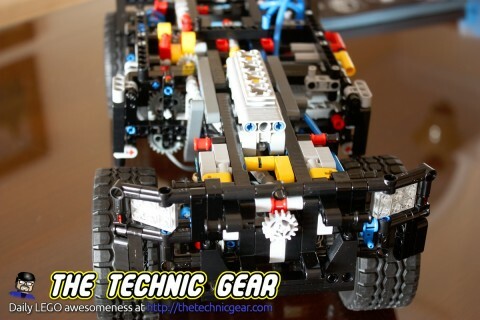 As I said before this LEGO was a good way of getting new bricks so I can educate myself in Technic model building. You can buy LEGO Technic 8110 Mercedes-Benz Unimog U 400 at Amazon and I would buy it ( again! ) despite the price.